Ever spot an interesting feature in the sky but are not quite sure what it is? 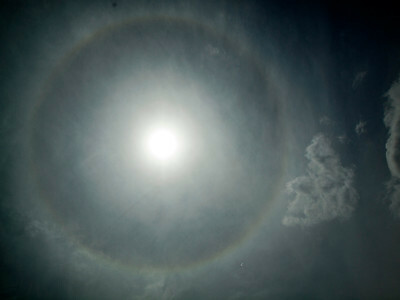 Is it a bright form around the sun or resemble a rainbow? 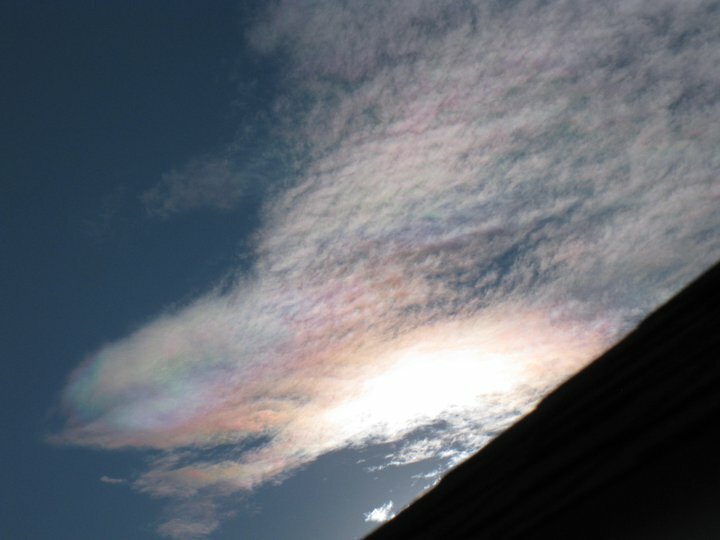 Well, these phenomena are called atmospheric optics and they can be spectacular sights to view and photograph. 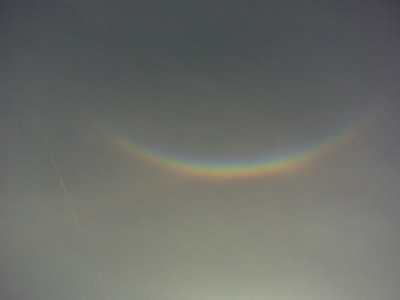 Read on to learn about optics spanning from the common rainbow to halos, sundogs and tangent arcs! As always, if you spot any of the images below, share them with us on the WeatherWorks Facebook page. It’s a great moment when you spot a rainbow in the sky. But how do they form? Rainbows are a result of the interaction between sunlight and rain drops. When enough rain droplets are still in the atmosphere while sun is shining through (as with a sun shower), the light will refract through rain drops. This separates the sunlight into the visible colors seen in a rainbow. Sometimes, if the sunlight is refracted through a drop more than once, you will be lucky enough to see a second rainbow behind the primary bow! This is called a double rainbow. These second bows will have the same colors but in the reverse order of a normal rainbow. 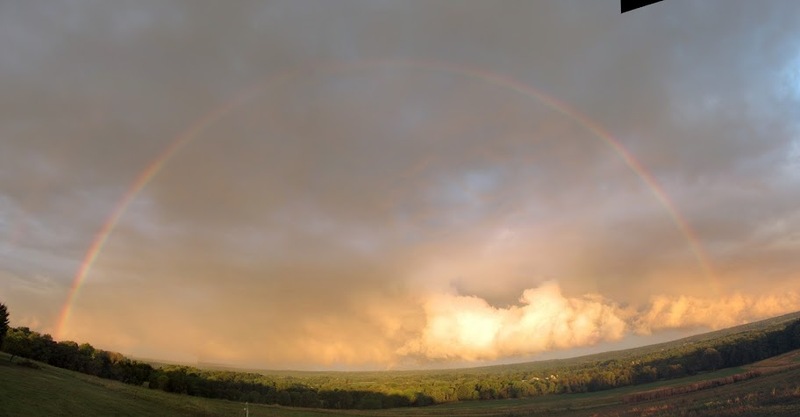 The best time to view any rainbow is in the late afternoon or early morning when the sun is low in the sky after a sun shower. Just be sure to keep your back to the sun when searching the sky for the colorful bow. Great pictures above right? You may be surprised to learn that all of these great optics are actually created from sunlight simply refracting through ice crystals. 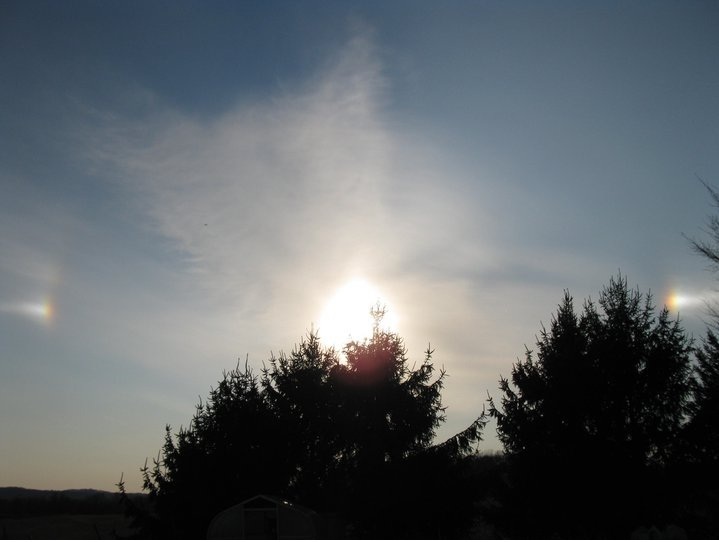 The best time to view halos, sun dogs and tangent arcs seen above is typically when cirrus clouds (those high, feathery-looking clouds) blanket the sky. This is because cirrus are made of ice crystals, providing the correct environment for the formation of "halo-type" phenomena. So next time you see these types of clouds, keep an eye out because you may catch a glimpse of some of the most spectacular sights in the sky! 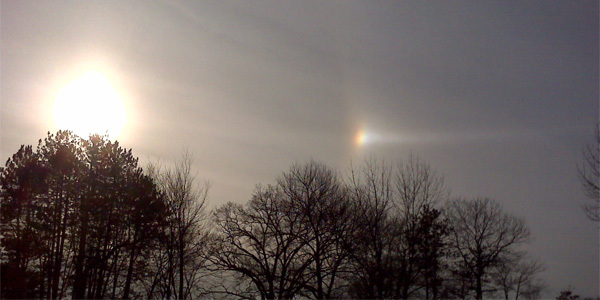 Although ice crystals form halos, sundogs and tangent arcs, the main reason why you see one optic over the other is due to the position of the ice crystals. 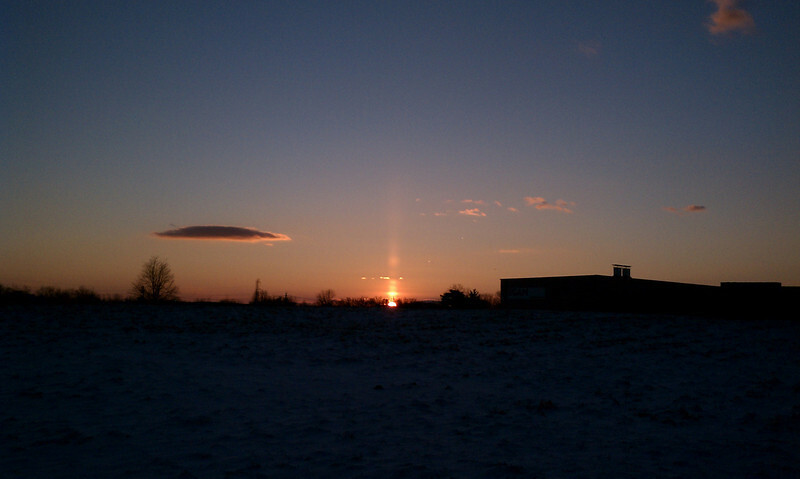 You would think these optics are most common during the winter since ice crystals are responsible for them; however, they can be seen at any time of year and anywhere from the tropics to the poles since ice crystals are associated with high altitude clouds and are cold regardless of latitudinal location. 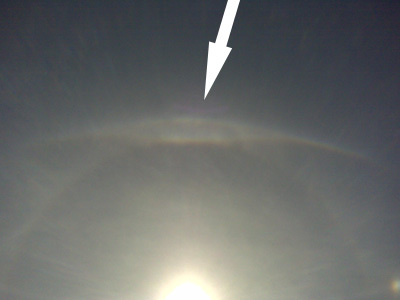 Rainbows, halos, sundogs and tangent arcs are just the tip of iceberg when it comes to atmospheric optics. Check out the photos below for other great optics you may come across the next time you are working or enjoying the outdoors.